The global technology solutions integrator company known as Bodhtree approached Lumina Communications in need of a total revamp. They were interested in a new name and brand that represented their new visions and capabilities. After working with the team at Bodhtree to understand what new direction the company wanted to take, the name Forsys was presented as a combination of force and system and they loved it. For them it represented strength in process, and it aligned well with their mission. The next task was to assemble a brand upon that name that fortified their new name and capabilities. 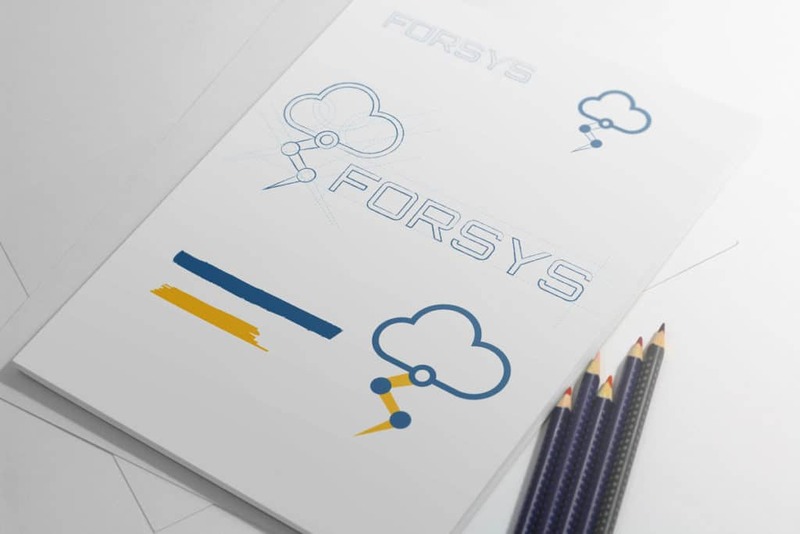 After presenting various ideas to the company, the Forsys team chose this as their new logo. They felt the cloud and lightning bolt was a good indicator of their new thrust in the cloud computing industry and the nodes at each bend of the cloud articulated the steps in a process leading to the cloud. And with that logo came potential corporate stationary design like letterheads and business cards. Forsys enjoyed the branding process with Lumina so much that they immediately engaged us to design their website. They requested it be mobile responsive and use a powerful CMS like WordPress to be easily editable and updatable. The resulting design is one that showcases their new name, new brand and new capabilities while scaling gracefully to any device. Lumina Communications is a tech-focused PR firm with offices in Silicon Valley and New York City.